I am currently on vacation, but had to share this little bit of fun with you! A couple weeks ago, I made these little bingo cards for my Daisy Girl Scouts as a fun treat for all the nice weather we have been having. They were SUPER easy! All I did was grabbed a few clip art pictures from Google (which is why I can't make a shared printable). I made them into half sheets and then laminated them! The laminating makes it so they stay nice and we can use them again and again, plus you can use a white board marker on them so you can wipe them clean! 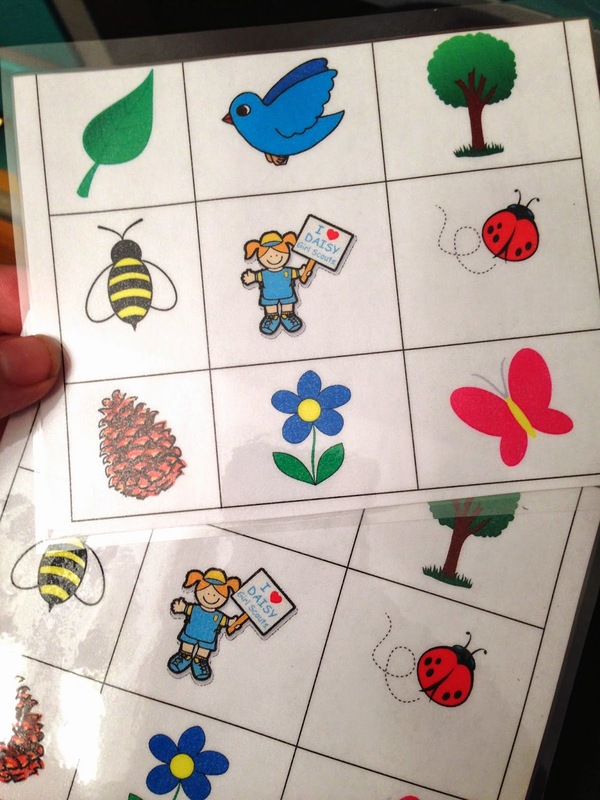 Other great ideas for this kind of bingo game would be a road trip theme, nature walk with different leaves, colors, letters...the possibilities are endless! Girl Scouts need lots of stuff to do.........Well done!. Great idea! Thank you for inviting me to your link party! I would love it if you joined and contribute your awesome posts at my link party at City of Creative Dreams, starts on Fridays :D Hope to see you there at City of Creative Dreams Link Party.